"We are living in interesting times. For the first time in decades the entire global economy is growing. Unemployment rates are almost at a 30 year low, salaries are finally starting to rise, and employers are competing vigorously for a new set of skills..."
The year 2018 has been quite hectic for eLearning with newer trends taking traction. What will unfold in 2019? What are the key trends to watch out for in the coming year? 2018 offers exciting opportunities for learning & development (L&D). Innovative new technologies are poised to revolutionize workplace learning. But what are the key trends in the L&D space that you should pay attention to in the New Year? Investing in workplace wellness initiatives within your organization has positive effects on both your employees’ health and your company’s health. Policies that promote the practice of healthy lifestyles and behaviors during and after office hours will enable your staff to produce their best work and to be their best selves. 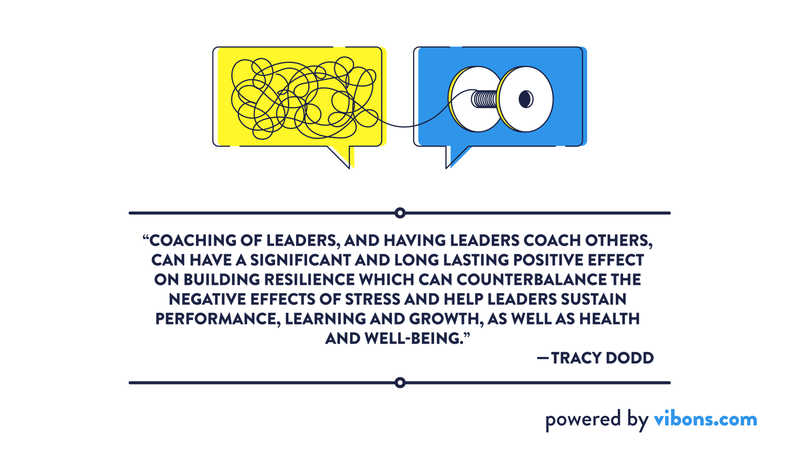 The ability to focus is a critical element for strong and effective leadership. According to Daniel Goleman, who is a world wide known psychologist that lectures frequently to professional groups, business audiences and on college campuses, there are actually three distinct ways leaders are required to focus. Imagine how great it would be if, in a year from now, the employee learning program your company deploys, started producing actual results? And you can finally sigh in relief that employees not only keep up with the program, but the newly acquired knowledge wouldn’t fade? Video is being hailed by many as the future of content. Its value as a communication tool continued to rise in 2017, its growth directly proportional to the expanding mobile phone industry. A Cisco study predicted that mobile video traffic will account for 75 per cent of total mobile data traffic by 2020. Research has shown that resilience is ordinary, not extraordinary. People commonly demonstrate resilience. And being resilient does not mean that a person doesn't experience difficulty or distress. Emotional pain and sadness are common in people who have suffered major adversity or trauma in their lives. In fact, the road to resilience is likely to involve considerable emotional distress. What is the secret of enjoy working with other people? The power of animation both communicates and captivates us in a way that simple texts and images cannot. That’s why it is not surprising that a recent Forbes Insights study shows demand for video is high in the business world. According to the survey, senior business executives at U.S. companies with annual sales exceeding $500 million characterize video as both a “critical information source" and as a medium that drives employees to take action. 8 Things You Should Know About Microsoft's "Growth Mindset"
6 Things You Should Know About Amazon's Training Method "Pivot"
Launched just last year, Amazon’s training program called ‘Pivot’ raised lots of questions in the business world and the media. The new program "Pivot," pairs the underperforming employee with a "subject matter expert" called Career Ambassadors who give guidance and support for a fixed period of time. At Google, 80% of all tracked trainings are run through an employee-to-employee network called “g2g” (Googler-to-Googler). The “g2g” learning program is created to offer first-hand knowledge in different fields, from employees to employees. What makes the program so successful? Summed up in one sentence, it promotes a culture that values learning. Experts predict that one approach may dominate the whole corporate learning environment in future. It is called “Adaptive Learning. Now that we have generations X, Y and Z trying to play well together on the same playground, engagement is tougher than ever. It’s crucial for IC departments to attract everyone’s attention, ensure messages are received and remain in control of messages. To do this, they need to plan and execute various strategies that get results. Clearly, since the goal is to reach all employees effectively, communication channel matters most. 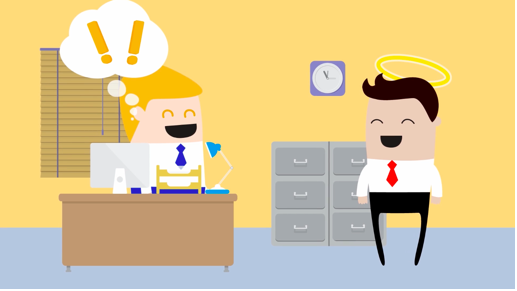 How Animation Is Helpful in Enhancing Enterprise Learning? The power of animation both communicates and captivates us in a way that simple texts and images cannot. That’s why it is not surprising that a recent Forbes Insights study shows demand for video is high in the business world. According to the survey, senior business executives at U.S. companies with annual sales exceeding $500 million characterize video as both a “critical information source" and as a medium that drives employees to take action. 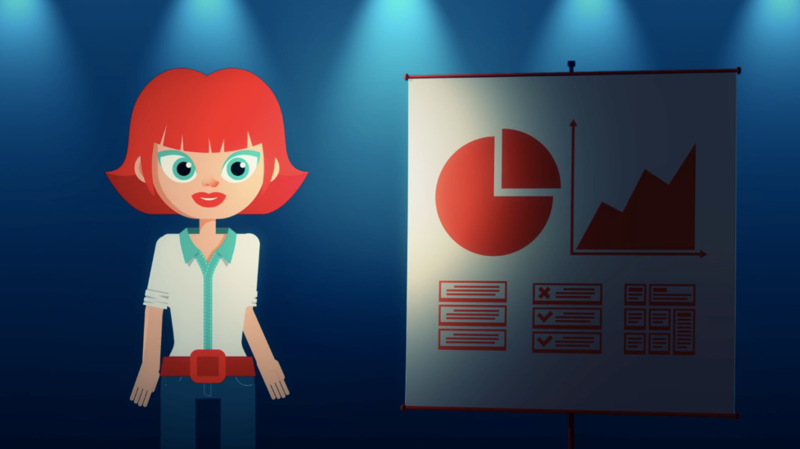 But how should we use animation in our business videos to enhance learning? 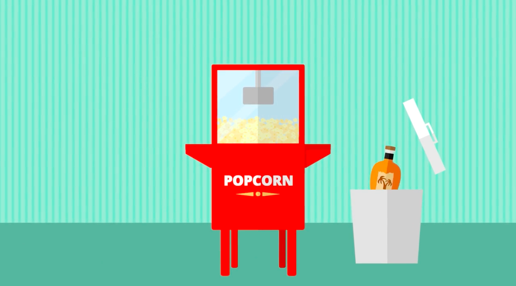 Here’s a quick checklist on how to use animation effectively in digital learning. Learning & Development (L&D) professionals must create awareness to impact today’s learner sustainably. Just like content marketers do, they need innovative tactics to conquer the “distraction” problem that looms over contemporary workplaces. Today, marketing and L&D departments share the same side of the table, both searching for ideal engagement strategies. By taking the guesswork out of employee learning, top Silicon Valley companies create new learning initiatives to drive higher employee engagement. Following their example, many other companies are in the process of bringing millennials the #1 most valuable benefit any company can provide: Training and Development. According to scientists, the age of smartphones left us with an 8 second attention span, which constantly changes our learning behaviors. When it's getting harder and harder to pay attention on things and stay focused, obviously, learning designers need to rebuild the structure of learning. At this point, Hollywood filmmakers' solution to keep the viewers' interest alive, is a good indicator for the learning experts as well. A number of studies show that, businesses that make employee engagement a top priority are more productive, earn higher profits, and have lower turnover rates. Employee engagement is an approach that increases the chances of business success, contributing to organisational and individual performance. What Role Should Corporate Learning Take in Digitalization? Recently, The Economist magazine published an article that has a crucial point on the influence of digitalization on human resources. According to the article, “The total market value of the top three car manufacturers in Detroit was 35 billion dollars in 1990 and they had reached this value with 1.2 million employees. In 2014, the total market value of the top three companies in Silicon Valley was 1 trillion dollars and they have only 137 thousand employees in total.” Experts foresee that computers will soon take over many simple jobs. Over the next 10 years, the work force must develop more distinctive skills and qualities. The question is, what role must Learning & Development play going forward? Only 20% of you will read this article until its last word, and that fact, as insignificant as it may sound, points out a huge problem in the future of learning. Why? Because we find it harder and harder to pay attention, even for things that matter. According to a Microsoft study, thanks to smartphones, our attention span has fallen from 12 seconds in 2000 to eight seconds in 2015. Since we are not even close to quitting our phones, the only thing left is to adapt. And believe it or not, Hollywood filmmakers have, for years now, known the solution. In the presentation and discussion on Research Principles for Multimedia Instruction hosted at the Harvard Initiative for Learning and Teaching (HILT), prof. Richard Mayer, who has spent years researching the field of multimedia learning, emphasized the importance of having an active-learning approach for building a stable knowledge construction. You have changed one of your important company processes and your Internal Communication Specialist or you have sent an email explaining the procedure to your employees. A week later, at the meeting you realize that very few people actually read your email and know about this change in detail. What went wrong? Are your employees not engaged enough to read your company emails or are you just using the wrong method to communicate with them? Or can your internal communications methods be used to enhance your employees’ engagement and interest to what is going on in your company? Through the years, it has been confirmed that animation has great potential to improve human learning. As discussed in Mayer’s “Animation as an Aid to Multimedia Learning,” students learn more deeply from animation and narration than from narration alone. However, not all animation “are equally effective in promoting understanding in learners,” especially if the goal is to promote deep understanding. Microlearning video-based content continues to provide businesses with high growth opportunities. Statistics show that “marketers who use video, grow revenue 49% faster than non-video users”, and “nearly two-thirds of consumers prefer video under 60 seconds”. According to a report by Cisco, videos will be generating as much as 80% of the entire internet traffic in the world. Despite almost 50-year background, Computer-based training (“CBT”) modules are still insufficient to demonstrate high-level learning outcomes for companies. Although the required high-end technology is still something to work on, that doesn’t mean that we are too far away from an effective learning system. Employee engagement is a term we hear a lot these days. 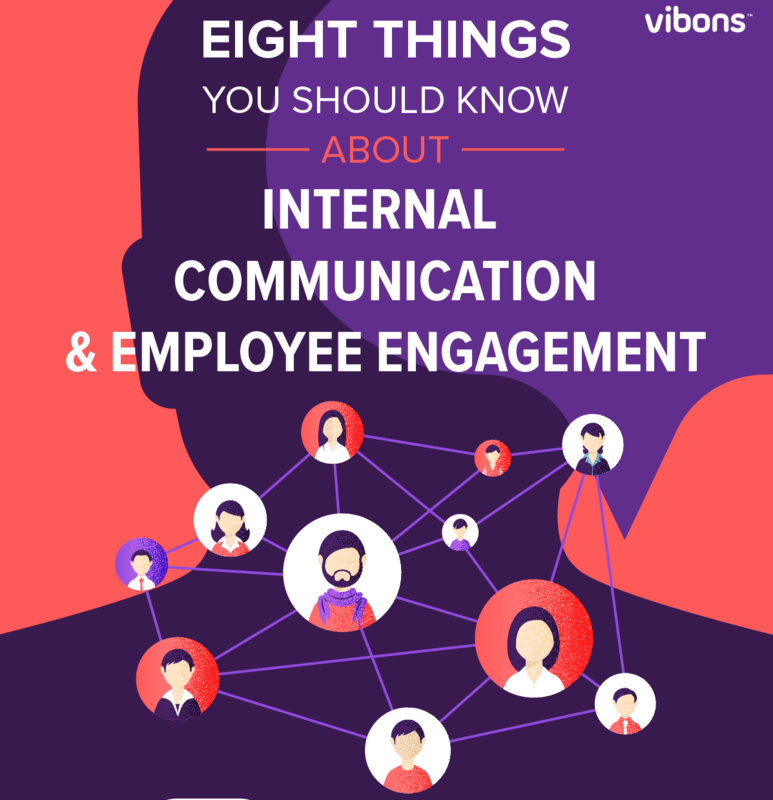 Given how rapidly the definition and the atmosphere of “business” is changing, engagement is becoming more and more important, and it’s the top priority of internal communications (IC) departments. 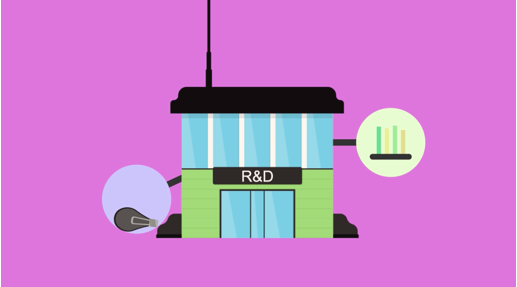 How do IC departments successfully reach their target audiences? What works? What doesn’t? Is there any new, magic way of “engaging” people? Let’s take a look. Vibons attended DevLearn 2017: Which corporate learning trends are popular these days? DevLearn, which is one of the big three learning technologies conferences along with ATD and Training Magazine, has left the building. Besides sharing the new perspectives on learning, we met great people including Symbal from Sweden and even had a chance to work with IKEA. 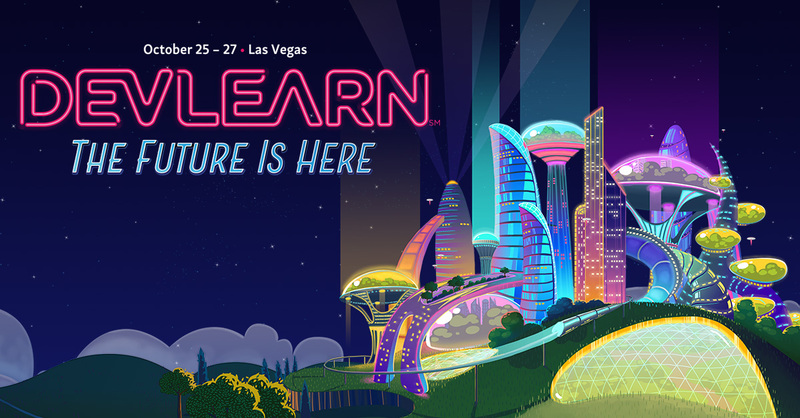 This year, again, DevLearn put us at the forefront of what's happening in the learning industry. After three days in Las Vegas full of learning and discovering what the future holds for enterprise learning, it’s time to get ready to apply everything we’ve learned back home. 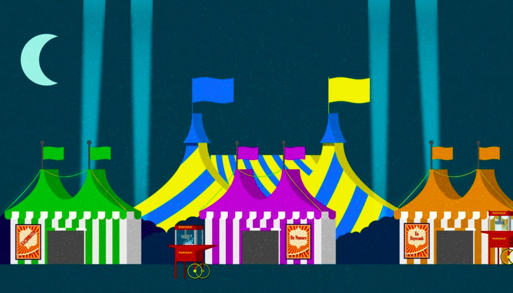 How does Digital Storytelling Enhance Workplace Learning? How stories compel us to care. How can you be sure people are working if you are not there to witness it? “I can tell you firsthand that remote teams get work done. Often, more work than you could ever imagine,” says Brian de Haaf, CEO of Aha! Not every organization is ready to embrace this style of working. And many notable companies are calling their remote workers back to cubicle-land. Many employees would love to work at home, but if their boss is opposing with remote working, then there are some talking points. What is the “secret sauce” of GE leadership development, and what makes a great leader? Susan Peter, Senior Vice President, Human Resources at GE, explains how GE makes it possible. Current and next CEO including Vice Chair Beth Comstock all carve out time for themselves. When you are living in an “always on” world, it’s hard to disconnect from it. Allow yourself the luxury of a few extra moments can lead to unexpected ideas, new approaches, quantum changes. How is that brands such as Apple put one successful product after another on the market, while companies such as Polaroid disappear? This is a topic that scientists, company executives, and management gurus have been mulling over for a very long time. The book by Curtis Carlson, “The Five Disciplines for Creating What Customers Want” discusses this question in detail. The main premise of the book is that true innovation is possible with a systematic and disciplined approach, not with an instant flash of genius as put forward by Hollywood. The author is immensely experienced in field research. He is the CEO of an R&D company that has ushered in a number of innovations such as the computer mouse, HDTVs, and the use of robots in surgeries... Let's take to heart his recommendations, which have been proven through experience. Ever since we are integrated with our devices, we are no longer having a time for a break without connecting information. We can use every minute for maximal efficiency says, Josh Davis. Our devices make us quite productive but also interfere with our productivity where we rest a little from information overload. We are no longer mind-wandering to clear our heads. People no longer stay in a company for their entire career as it was before where they receive a retirement package. Nowadays, employees prefer to work in different conditions such as full-time, part-time, contractors and often move between organizations multiple times during their careers. Many organizations are now changing their mindset and looking for ways to hire, train, and promote. In 1999, a small Internet company called Half.com came up with a genius idea while trying to set itself apart thousands of other companies. It made a deal with a small town with a population of 350 in the state of Oregon in the U.S. The company gave the town some money, 20 computers for the school, and free Internet. 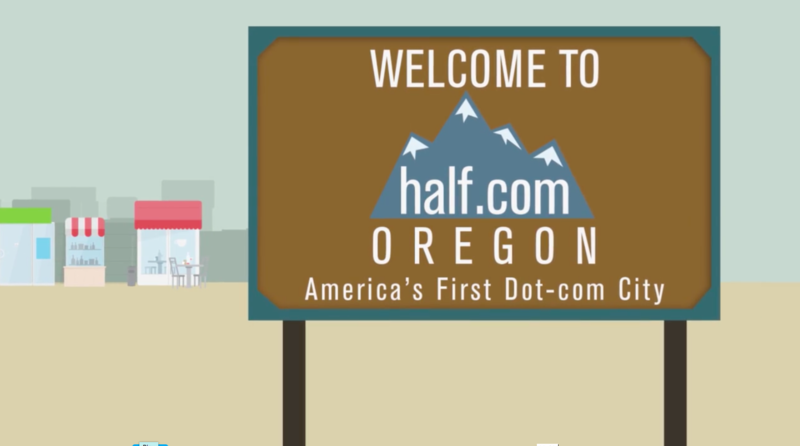 In return, the town accepted changing its name to Half.com. The news made the headlines in the national media in one week. If you aren’t rethinking the “how” of your internal corporate communication, you’re probably not reaching the “who” you hope to reach. Whether you create a full-blown video studio or use the camera on your mobile phone, chances are that your shorter, more personal messages will actually be received and the information understood. No one is reading your internal corporate messages any more. 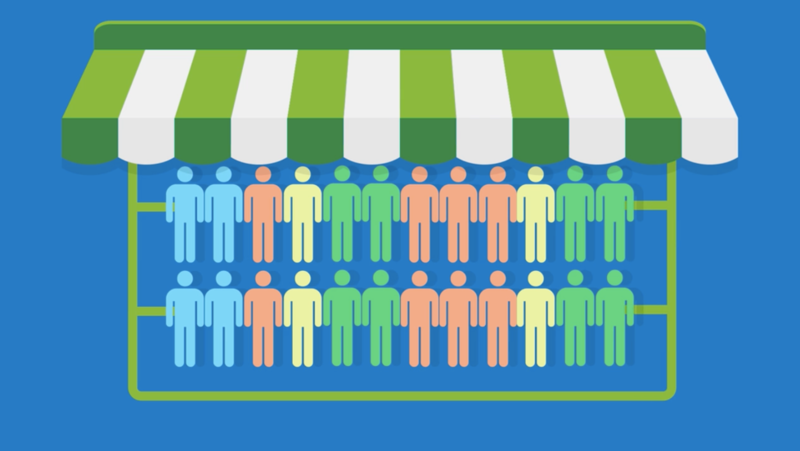 People want, and expect, more from their LMS these days. Being able to simple host and allow access to learning content isn’t enough. As technology evolves at a rapid rate, end users expect their LMS to evolve at the same time, however, this is a major pain point for many LMS users. Dealing with outdated systems that are not evolving, being stuck with basic features that reduce flexibility, and lack of options when it comes to course creation and interactivity are some of the most common complaints from users who are looking to change up the way that they provide training to their teams. What eLearning platforms should do to evolve into a modern learning platform? Being an LMS is not enough anymore. With thousands of competitors, the eLearning platform market is saturated and unless organizations evolve they will disappear. In my opinion, a great way to engage millennials is to simply stop referring to them as millennials. This term has taken on quite a negative connotation, lending itself to be an almost slanderous term in certain circles. Not boxing this group of people into a stereotype will greatly assist your continued success in maintaining both their attention and participation on your team. This generation has a lot to offer: they're very intelligent, creative, and very technologically progressive. We should seek to harness these capabilities instead of turning a blind eye to their potential. 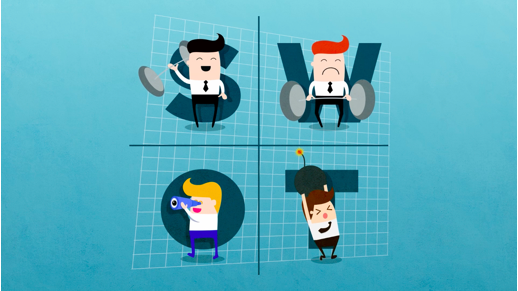 SWOT is an analysis model used to develop company strategy. It stands for: “Strengths - the company's strong points, Weaknesses - weak points, Opportunities - future possibilities, and Threats - future perils.” It is critical to establish these four areas and manage them right. 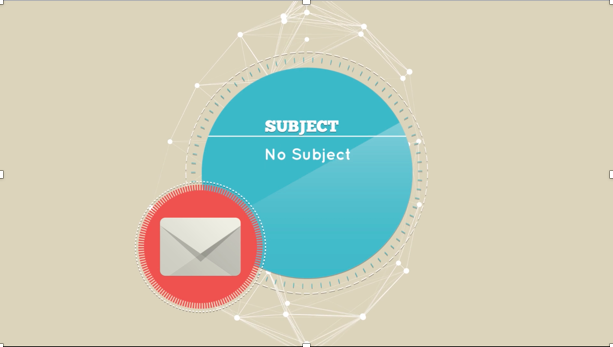 Have you received an email with an empty subject line or one that says “hi,” “urgent,” or “request”? It must have taken you quite some time to figure out the purpose of the email. The subject line is the key to writing an effective email. An email with a well written subject line is discerned and replied to three times more often than a badly written one. Think about the letters in your mailbox. You figure out whether it is a bill, an invitation, a personal letter, or advertisement by looking at the envelope. Similarly, a well written subject line reveals the content of the message to the other party. The recipient quickly grasps what to do and take faster action. 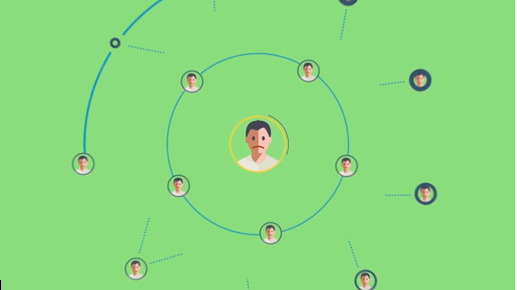 It is up to us to make email communications “smarter!" Wouldn't you like to cut the number of your emails in half? 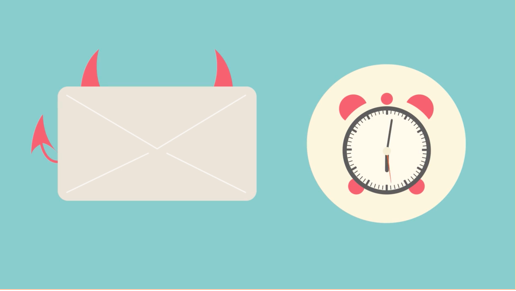 Gain time, increase attention and reduce stress... Then, watch out for the 5 Principles of Effective Email Communication. Why Are We So Preoccupied With TIME and QUICK? Ganesh reminded her of me, because Ganesh appears to be very capable of multi-tasking thanks to many appendages. Ganesh is the god of beginnings and widely revered as the mover of obstacles. I have always prided myself on my ability to juggle multiple things but if I’m honest, I am addicted to shiny objects and can actually create too many obstacles. I love new projects and one of my faults is that I often drop the 80% done project to start a new one. It seems like everyone is flailing their multitasking arms. Digital Learning does not mean learning on your phone, it means "bringing learning to where employees are." It is a "way of learning" not a "type of learning." We receive numerous emails that are incomprehensible. It is a job in itself to figure them out in between calls, meetings, and other messages. The rules of writing have changed in the era of fast communication. However, most of us are not fully aware of this. So, what should we look out for? Simplicity, technique, and clarity. This is the essence of writing simply. The simpler your message is, the easier for the recipient to keep it in his/her mind. 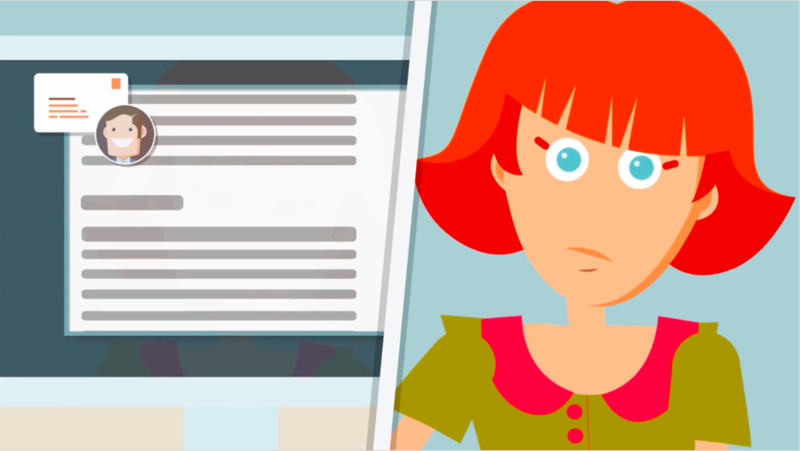 What are the top trends in eLearning now? The video is much more common now as it has become easier and less expensive to create and edit. eLearning lessons are now shorter and fewer in a course than in the past, where it was not uncommon to have dozens of lessons in an eLearning course. What’s trending now? Here are my top six observations. "Any customer can have a car painted any color that he wants so long as it is black," said Henry Ford, the father of mass production, when he began selling his T-Model car. That is all water under the bridge now. Why are cars being put into the market in a myriad of types, colors, and models today? Why is water sold in various forms? Think along the same lines. Can two customers have the same expectation from us? Do we really know which one of our customers creates the main revenue for us, and which one consumes most of our time? Annually you would get a bunch of people together, do 5 -10 year plans and adjust them every year so but your weren’t dynamically steering you were focusing and getting everybody aligned around that direction. Today and such a moving world, you probably heard of the word VUCA (Volatile Uncertain Complex and Ambiguous), organizations when they plan it was kind of like planning-ish. It’s not really firm plans. You plan, you set a direction, you get a bunch a people involved in that planning to be sure that everybody is clear about where things are going and then you revisit that plan quite a bit. Most companies don’t do more than 1-3 year planning and it more like 1-3 year aiming. -Recent studies indicate that multi-tasking is not an ideal mental stage in learning. Can you share your thoughts? First off, the thing that comes to mind is the research that has been done by the Neuroleadership Institute, which has found that our brains physically cannot multi-task. The concept of multi-tasking used to be popular among professionals, but that is not the case anymore. Our brains aren’t wired to focus on more than one thing at a time, so cramming multiple tasks onto a to-do list will actually slow down our cognitive processing. We are unable to organize our thoughts or filter out unnecessary information. As a result, efficiency deteriorates—and so does the quality of our work. At Autodesk, we are working to redesign the curriculum and the way we approach the learning process. We want to abandon the traditional trainings and structure with modern methods where we will apply some of this research, including micro-learning principles, to our content. I recently saw an article about meetings that made me laugh. Evidently Amazon CEO, Jeff Bezos uses pizza as a metric for the size of his teams. How? If a team can't be fed by 2 pizzas, it is 2 large. I like it! I wonder if there is something special in the pizza sauce there at Amazon? They say kids pick up certain skills like languages faster than adults because of the way their brains are wired but it might be because of the simple lessons that parents and teachers install in us at an early age. What elements become noise during learning? Here is the challenge: if the duration of your training content exceeds the critical threshold -4 minutes-, what you need to do? Apply the second principle: “Cut to digestible segments.” Instead of forcing them to eat the whole cake, give them one pie after another. 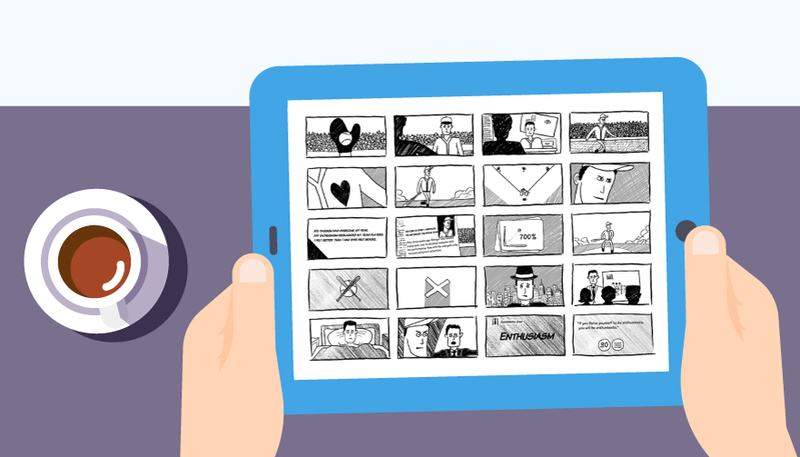 We are pleased to announce Viboard, our new collaboration tool that is designed to increase the efficiency of the creative process of our animated videos. Josh Bersin writes about and illustrates in a graphic how fast corporate learning has changed in the last 15 years. From online instructor-led training to visually stimulating, personalized and reduced but potent content, employees expect more than linear learning. How to Communicate Internally in the Distracted Age? Once upon a time in the stone age, one of our ancestors was rescued by her instant reaction to “a change in the environment.” Her peripheral vision sensed a small motion, the eyes of a saber tooth tiger in the shadows; and she ran away just in time. How did it happen? Because our brains are programmed to pay attention to visual changes simply to survive. Good news for our ancestor in the stone age, but bad news for us, the descendants of her… Let me explain: while you focus on a critical task in your daily life, this same pre-programmed reaction takes us away thanks to the endless amount of distractions, i.e., an email pop-up or a social media notification. We lose our focus; we work hard to regain it and eventually we gain it… until we lose it again. That’s the unfortunate yet true cycle most of us experience daily! 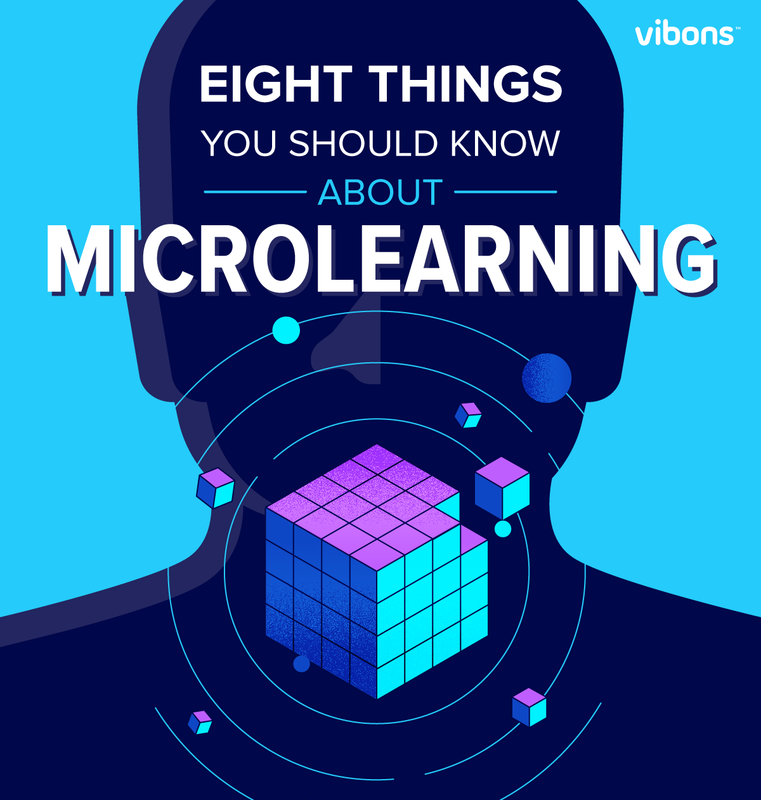 Why You Need Microlearning in 2017? Technological change demands different ways to make learning work. Why? Because the information overload (thanks to digitalization) and the distractions (thanks to digitalization) created a different learner. Here’s a study from Basex, a New York-based research company. It shows how information generates over time. The invention of Papyrus, the Alphabet, the printing press... The rate of information generation goes relatively flat until the 20th century. But then things changed. In the second half of the 20th Century, the advances in communication and information technology led to the creation of the internet and the digital devices. This leads to a massive increase in information that is available. Now we’re facing a problem here: the information is increasing rapidly, but our cognitive capacity to digest it stays the same. In my previous blog post, I stated that the digital age has created “the distracted learner”. 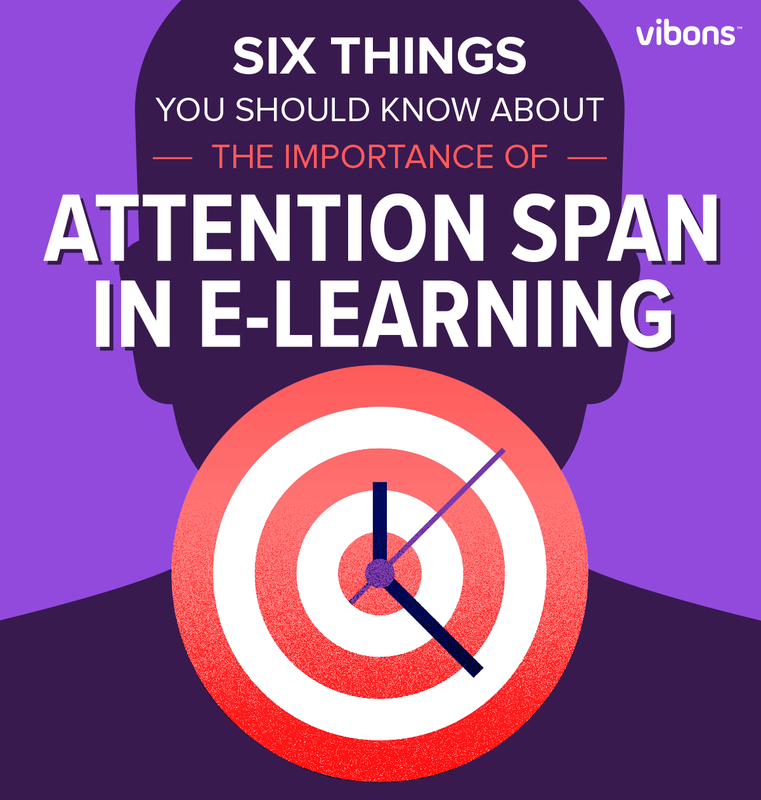 Studies show that attention spans are falling and making it harder for people to learn something presented digitally longer than, say, 5 minutes. If the learners are distracted so easily, then the content developers need to find a way to make content that is “light on minutes” but “heavy on content” for learners. Thus I introduce you to the first principle of microlearning: Less is More. Sharon C. Bolton published an article about how there are a lot of female managers but not that many CEOs in the corporate world. With statistical analysis and key points like Glass Walls, Boxed In and Continued Inequality, it makes for an eye opening read.